"Massive thanks to everyone who came to the shows. That room was buzzin'. You made me and my band feel so special and loved. I very much appreciate your support. A special thanks to John Tyrrell, Liz Kershaw, Paul Boardman, Justin Smith (a really sound guy), Steve Harley, Sabrina Winter, Paul Cuddeford, Joe Bongo Becket, Jaco Norman, Xander, Melvin & Matt, Mel Brown and the PizzaExpress Live staff for looking after us so well. We will be back for sure." Upload your London Shows image below, including your name, photo and memory. 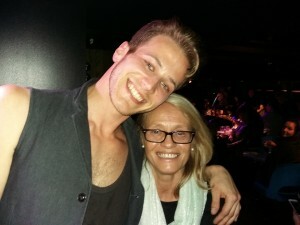 We will add your photo of Steve´s gig in our Gallery soon.